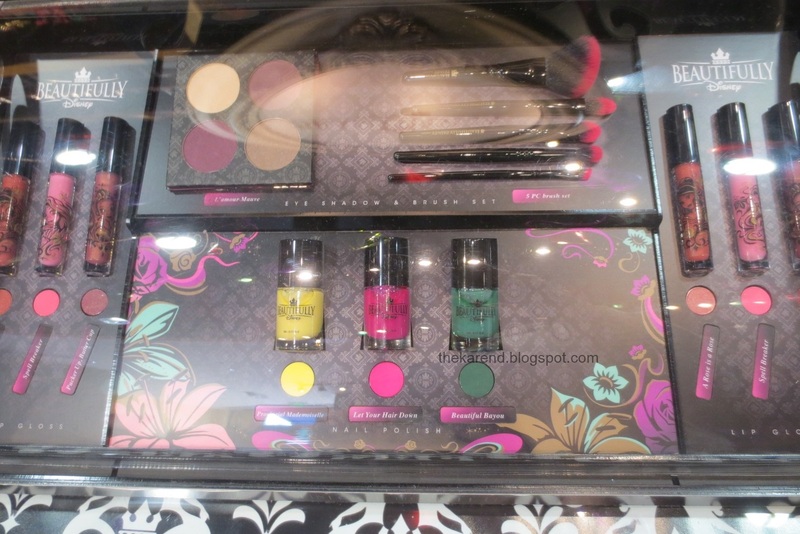 Shades, starting at left: Wish Come True, Something Sassy, Spriteful, Something Sassy (again; I think this slot was supposed to be for Star Struck, which will make sense later), Spriteful (again), Ocean Mist, Looking for My Prince, Mistress of Evil, Let Your Hair Down, Just One Bite, Provincial Mademoiselle, Off to the Ball, Enchanted Kiss, Midnight Hour, Diva of the Deep, Celtic Fire, Broken Arrow, You Wish, Celtic Fire (again), Far East Embers. The tops of the bottles have different symbols on them that tie into the movie that inspired them; for instance, on the far right, there's the seashell on Diva of the Deep, inspired by Ursula from The Little Mermaid. 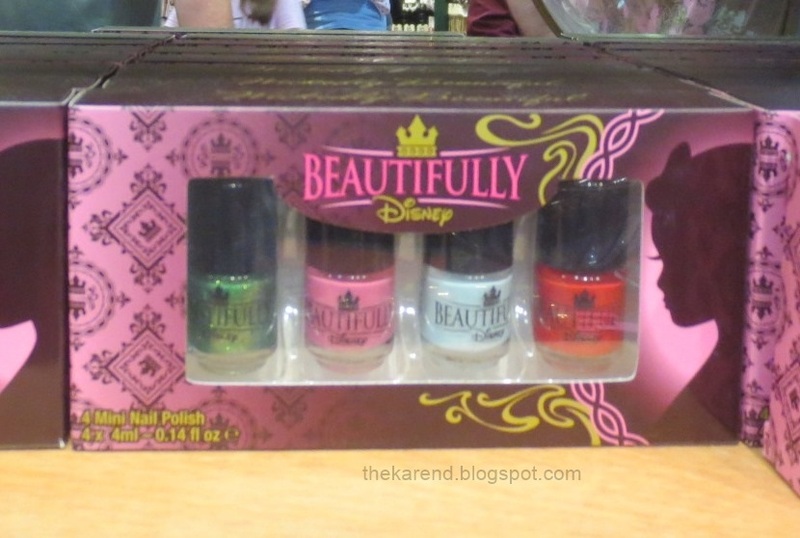 These polishes (and other makeup) have been released in several collections, and the big World of Disney store had displays and/or mini sets showcasing the different groupings. 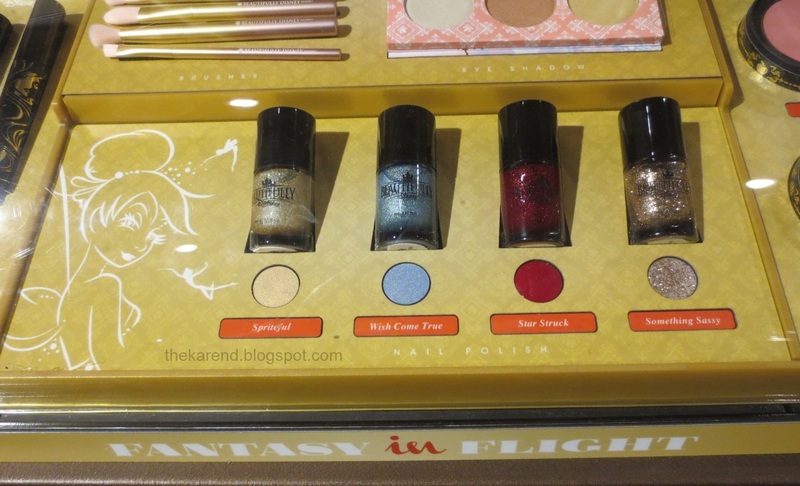 The latest release appears to the Fantasy in Flight, which has four polishes: Something Sassy, Wish Come True, Star Sruck, and Spriteful. 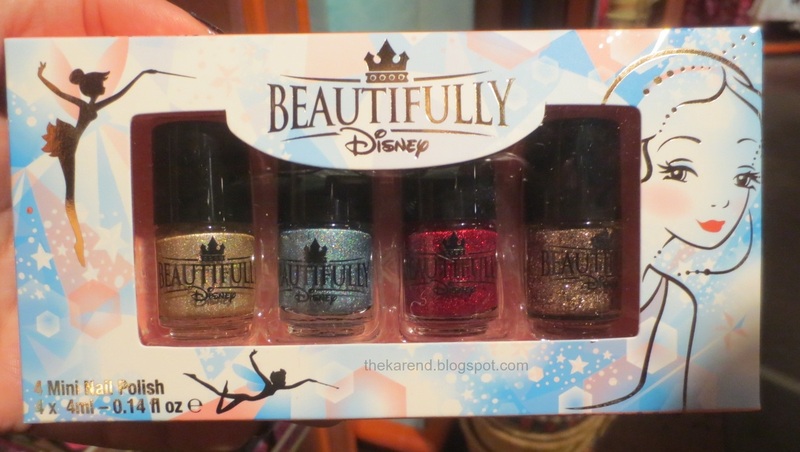 The initial collection, the one I saw on The PolishAholic last spring, had eight polishes: Off to the Ball, Enchanted Kiss, Looking for My Prince, Just One Bite, Mistress of Evil, Diva of the Deep, Midnight Hour (hmm, didn't see that in the bottles at Animal Kingdom), and Ocean Mist. Those were split into two mini sets. 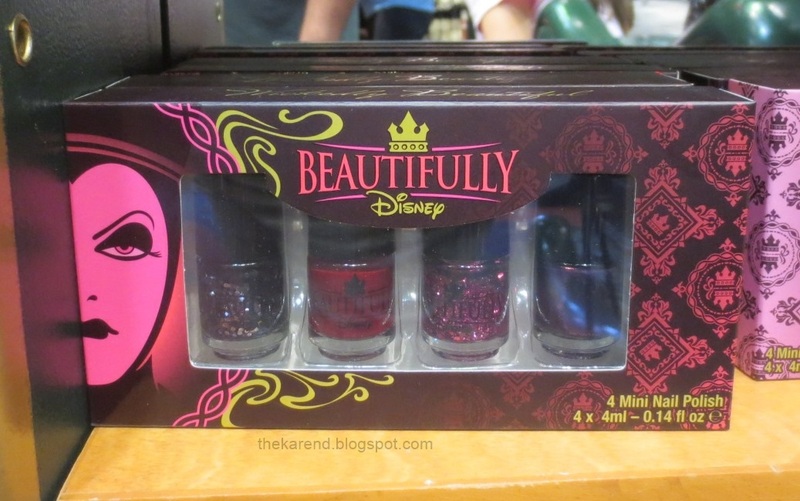 Unlock the Spell had three full size colors: Provincial Mademoiselle, Let Your Hair Down, and Beautiful Bayou (again, none of that at Animal Kingdom). The mini set had a fourth color: Get Tangled Up. I only saw a mini set for the remaining collection, Fiery Spirit. This has four colors: Celtic Fire, Far East Embers, Broken Arrow and You Wish. 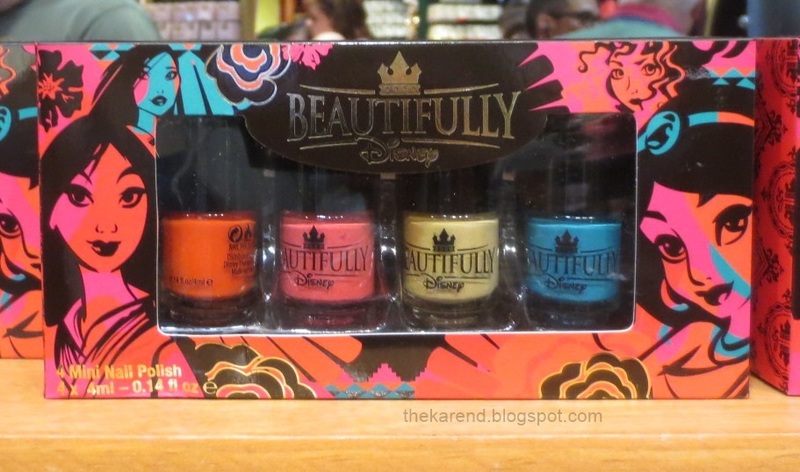 As far as I know, the only places to get these polishes is at the Disney Parks and via the Disney Store website (though they don't seem to carry most of the line). Looking at these photos, I'm wishing I'd gotten more than the three bottles I did. 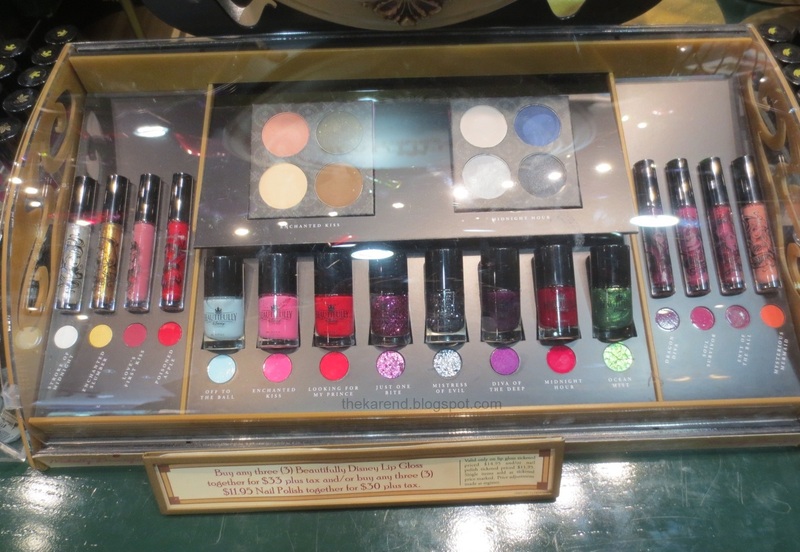 More than once I found myself looking at other things in the parks and wishing they were available in nail polish form, like this duochrome floor in a gift shop in Tomorrowland. 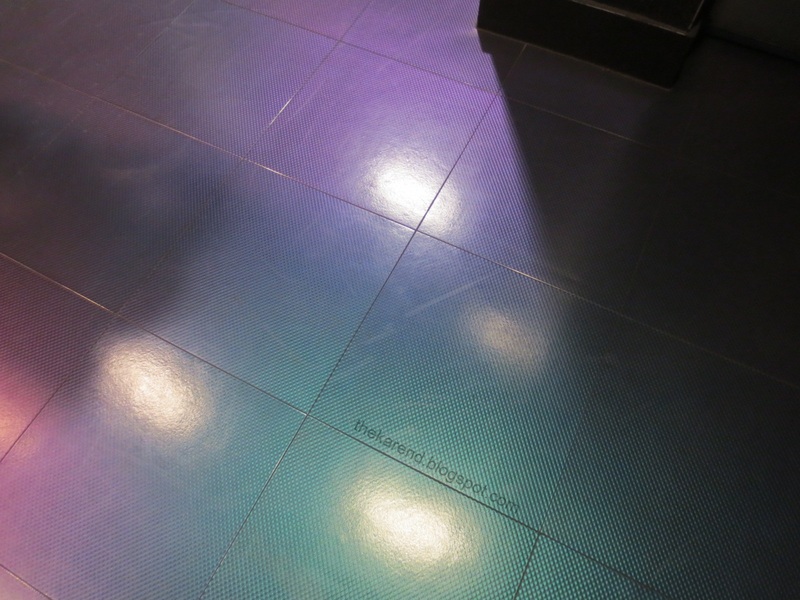 I didn't get a photo, but there were scattered holographic floors in Innoventions at Epcot—I wanted those, too. Merry Christmas to those of you celebrating this week! I moved into my new office in my company's new headquarters building today, and even though I'm off the next two days and won't be around to enjoy it, one of the first things I unpacked was my tiny purple and silver Christmas tree. Gotta have sparklies, you know! 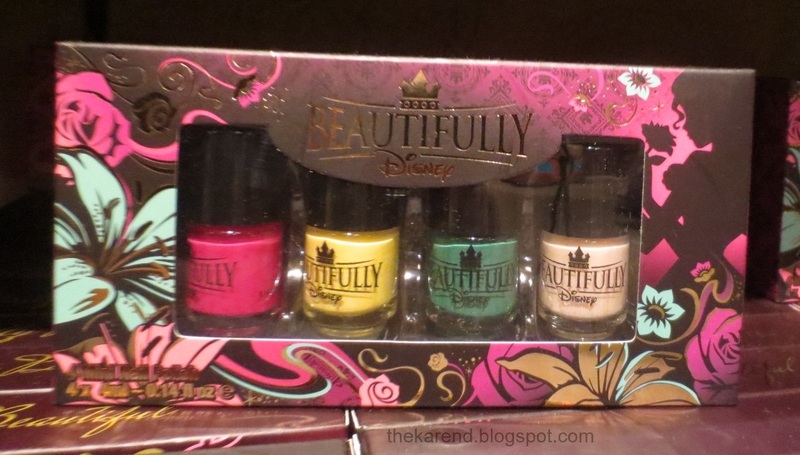 For some reason, I'm surprised they have so much polish selection...but I guess that's a good thing! Happy Holidays to you and Mr. Karen! Merry Christmas Karen - and thanks for a lot of fantastic display posts (and other ones too of course)! 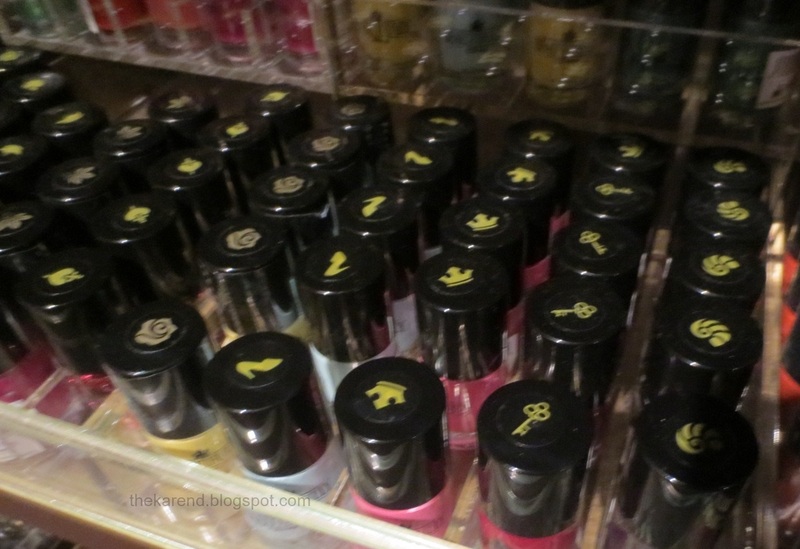 I didn't realize how many polishes they had!